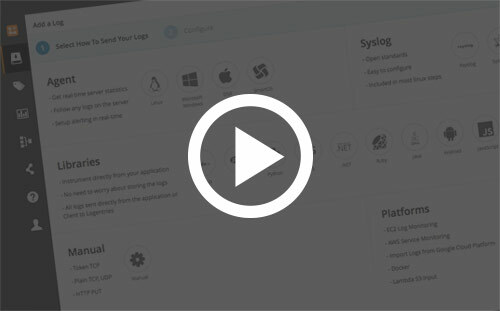 This video reviews how to search and analyze your log data with the Logentries Query Language (LEQL). Use this tutorial to build and save your first query in less than 5 minutes. Log into your Logentries account or Create an Account. Select a log or logs you’d like to search from the pane on the left. Enter your query using the query builder in simple mode. For example queries, view the video here, or see our documentation. View your results! For additional support, contact support@logentries.com. Keep learning how to easily use Logentries with these other great How To Videos.